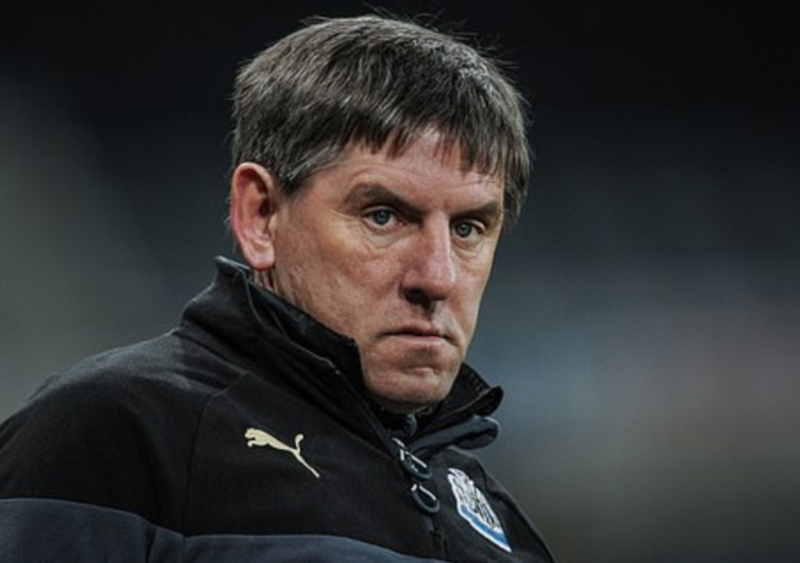 Ex-NUFC player makes harrowing Peter Beardsley admission – This makes me sick.. – NUFC blog – Newcastle United blog – NUFC Fixtures, News and Forum. 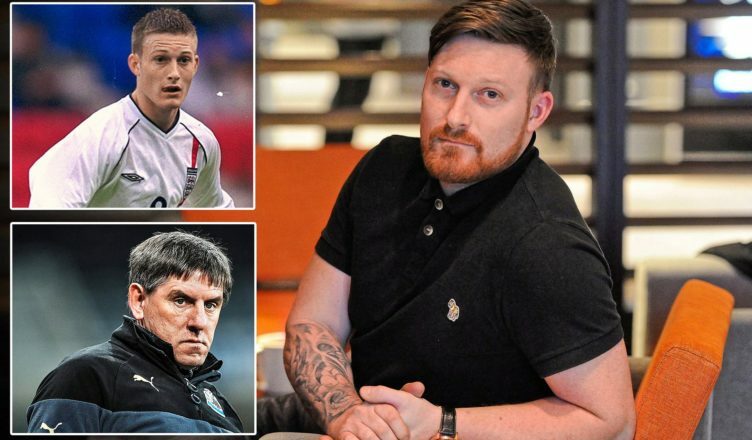 Ex-NUFC player makes harrowing Peter Beardsley admission – This makes me sick..
Former Newcastle youngster Ross Gardner has revealed that the club totally ignored his bullying complaints against Peter Beardsley in 2003 – an ordeal that did more than just destroy his career in football. Before anyone suggests Gardner is simply a former hopeful who just wasn’t good enough at the time and took those frustrations out on Beardsley, this was a player who had captained an England Under-17 side that included Wayne Rooney – not to mention he made these ‘bullying’ claims back when he had already earned a professional contract on Tyneside. He had no reason to make false accusations about Beardsley, yet his complaints were ignored – and his career and mental health appears to have suffered hugely as a result. ‘But I was angry. It was happening again — same club, same man. I hated the thought of another young player going through what I did, to feel as low, as helpless and alone. ‘Players should be in an environment where you can develop and realise your potential. That will never happen as long as Peter Beardsley is a coach. ‘I was the first to say something but I was speaking out against a club legend, it was intimidating, I didn’t have the support of the club. I believe it was swept under the carpet. ‘When I first met him I was like, “Wow, this is great, he’s my hero”. But that changed very quickly. We’d won the league the year before and I was England Under-17s captain, but it was as if he didn’t like the success we’d had. He warned us things would change. It seemed vindictive. ‘With me, it was the snide comments and humiliation. He’d say things behind your back, it was horrible hearing that from my mates. You think, “Why? I’m 17, he’s supposed to be helping me”. ‘I’d return from England and have to play in Under-15 trial matches. It felt like punishment for being away with my country, something which made me so proud — why did I have to be brought back down? ‘It was just a drip-feed, day on day. A lot of us felt the same. One day he’d be saying you’re great, the next you’re being dragged into a room and told you’ve been a joke in training. You’re just thinking, “What on earth?”. I didn’t want to be around him, it made me anxious and uncomfortable, I wasn’t even bothered about football come the end. ‘I’d come home and go straight to my room. I didn’t want to speak to my mam and dad. They kept asking, “What’s wrong?”. All I could say was, “It’s him, he doesn’t stop with me”. ‘What happened at Newcastle was life-changing. I told my dad, “I either leave or stop playing, I can’t go on with him”. ‘When you become an addict it’s like an insanity. It was my poison, my drug, everything felt better when I gambled. I hit rock bottom. I lost my relationship with my partner and little girl. ‘Thankfully, we’re back together as a family now. I’ve worked hard, the tools given to me during my rehab help me survive each day. ‘But I did think about suicide, it’s there, it’s real. I was lucky, I survived. I went to Sporting Chance in 2017 and it saved me. ‘We talked about the experience with Peter Beardsley as a contributing factor. It wasn’t the only thing, but that was the one which did not have to happen. Where was the safeguarding? ‘That is why this cannot happen again, he cannot be allowed to coach young players. That’s why I’m speaking out. ‘I wish I didn’t have to, but Newcastle, the FA, the Premier League, it feels like they have ignored me. ‘For me, while Peter Beardsley “looks forward to the future”, as his statement said, I look forward to my 48th rehabilitation session and the positives that I’m finally back in control of my life. People will say ‘why is he only doing an interview on this now’, but why would have have spoke out all those years ago when his own club refused to believe his story? Now Beardsley has been sacked – coupled with the fact a whole host of players and parents have made several complaints – he clearly feels able to. In light of this – and the fact the FA are now conducting a formal investigation – it’s about time the minority of fans blinded by his ‘club legend’ status calling these youngsters ‘snowflakes’. The fact that the club ignored Gardners complaints all these years ago is nothing short of an absolute disgrace – especially when you consider how it’s gone on to impact both him and several other young players no doubt. The club’s ignorant handling of this situation appears to have been appalling for over 15 years now and, as for Beardsley himself, I say good riddance. It seems his sacking came 15 years too late. Let’s hope he gets his comeuppance if the FA’s investigation shows he’s guilty. NUFC set for spell without Fabian Schar – Benitez now left with 1 of 3 big decisions to make..
What a shame that so many young guys perceptions of such an iconic star player have been utterly destroyed, mine included…! I had taken my Sunday League side, Gosforth Hotel, for an away fixture at “The Flying Scotsman” , Forest Hall. As per the rules, the team sheets were filled in and signed before the players took the field . I handed my sheet to the home team secretary and he took me aside and said. ” I have one lad cant make it till half time and would it be ok to sign the sheet , then swop the players at half time as he was their best player. I agreed to do the favour. Half time arrived at 0-0 , a very tight affair. This bloke turns up with 5 mins to spare with his boots in a Presto supermarket bag. The final score was 3-0 to the Scotsman and Peter Beardsley has a hatrick…! So much for doing a favour. My image of him only increased as he signed for the Toon shortly afterwards. A nasty little man and a consumate bully. I’m always a bit dubious when stories like this come up. It happened regularly during operation Yew Tree with people coming out of the woodwork right left and centre, with nothing heard from the “accused” for the clatter of the bandwagon going past. With Gardner it seems like he completely messed up his life and Beardsley makes a very convenient excuse for his problems. Sorry – but you can’t condemn Beardsley without an investigation. Sorry but I’m still not sure what Beardsley has done wrong exactly ? What exactly has he done or said ? As in specifics, details ? There’s nothing in this article that details anything. So the lad was told in the dressing room he’s been a joke in training ? Is that it ? Harsh, for sure. But not gambling-inducing. We need more information. Hold on some failed footballer claims Beardsley was nasty to him and it destroyed me?I doubt with his clear mental fragility he would of made it as a professional footballer. You cannot condemn the man for this and the worst thing he has done is use the same methods that he had when he was coming through the ranks. One thing is crystal clear though he should not of been a coach to the kids. If you don’t think being told you’re not good enough from an early age (when you’re under pressure as it is) won’t lead to potential mental health problems then you underestimate it. Do we know the facts? No. But do people not think this is all adding up now? Gardner, Gibson, El-Mhanni, SEVEN parents complaints in 2003 – all ignored by the club for as long as they could. The fact he’s been sacked says it all to me. To many people are sticking up for Beardsley for the simple reason he was a great player and therefore can do no wrong. Bullying is bullying and is not character building at all. Seven parents of children complained and the club did nothing, years later the headlines are once again with allegations of bullying and what happens the whole youth team contracts are not renewed. To many coincidents for me. I remember Ross Gardner came to our house to do some work a couple of years ago. We got talking about football and Ross told me what he and another guy had to put up with Peter Beardsley. So much so that he made complaints against the club which resulted in nothing and eventually he left for Nottingham Forest. He certainly seemed genuine and was obviously upset about his treatment. If you don’t think being told you’re not good enough from an early age (when you’re under pressure as it is) won’t lead to potential mental health problems then you underestimate it. Simon Cowell has made a nice living out of it. The media is a disgusting and illegal way of putting people on trial. If there was any real evidence of criminality here then a court and trial by jury is the only place for this. The accused has the right of legal representation and the accusations have to be proved beyond reasonable doubt. Need to here both sides , kangaroo court comes to mind, think every one would be in the same boat for talking about some one behind they backs. happens every day at work, school. need the facts from both sides, not just one.